Sarasota Memorial Health Care System has been named one of the nation’s 100 Top Hospitals® by IBM Watson Health, the hospital has announced. “The 100 Top Hospitals were chosen from 2,752 hospitals across the country that outperformed peer group hospitals on all clinical and operational performance benchmarks evaluated in the study,” a March 4 news release explains. Those benchmarks involved inpatient mortality and complications, healthcare-associated infections, readmission rates, length of stay, costs of care and patient satisfaction, the release notes. “If all hospitals were to achieve the same performance benchmarks as those included on this year’s list,” the release says, IBM Watson Health projects that would save 103,000 lives, prevent complications in 38,000 patients, result in 155,000 fewer hospital readmissions and lead to 12% lower medical bills than the average patient receiving care. “At a time when research shows that the U.S. spends nearly twice as much on healthcare as other high-income countries, yet has less effective population health outcomes, the 100 Top Hospitals are setting a different example by delivering consistently better care at a lower cost,” said Ekta Punwani, 100 Top Hospitals® program leader at IBM Watson Health, in the release. Higher survival rates: The 100 Top Hospitals achieved survival rates that were 24.9% higher than those of peer hospitals. Fewer complications and infections:Patients at winning hospitals experienced 18.7% fewer complications and 19.3% fewer healthcare-associated infections than peer group hospitals. Shorter length of stay: Winning hospitals had a median severity-adjusted length of stay that was one half-day shorter (0.5) than that of peers. Lower inpatient expenses: Average inpatient costs per discharge were 11.9% lower (a difference of $830 per discharge) at 100 Top Hospitals when compared to peer group hospitals. Higher overall margins: Winning hospitals maintained a median operating margin that was 11.9% points higher than the median of peer group hospitals. 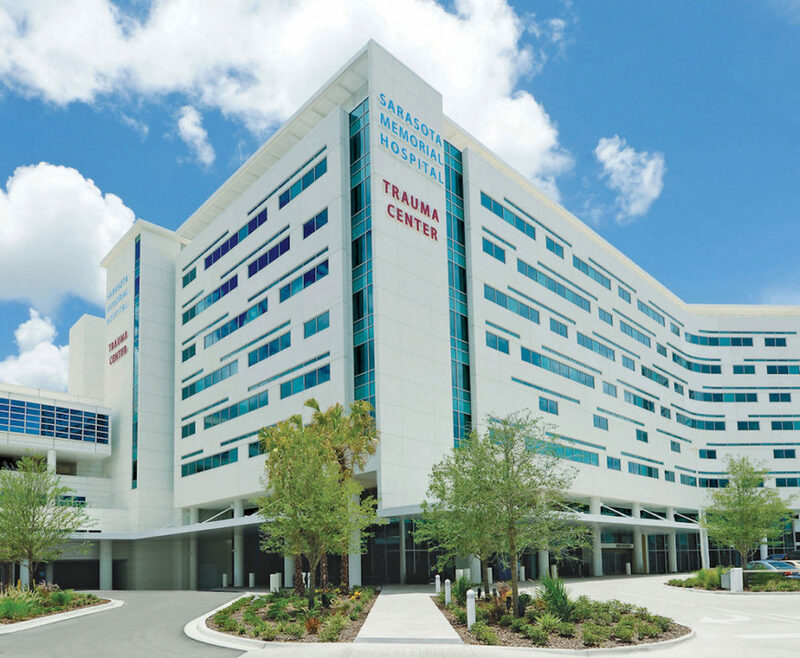 This is the fourth time Sarasota Memorial has received the 100 Top Hospitals award, the news release points out. “Sarasota Memorial CEO David Verinder credits the achievement to the health system’s mission-driven team and the unwavering vision of its publicly elected Sarasota County Public Hospital Board,” the release says. “Formerly known as the Truven Health Analytics 100 Top Hospitals, the study spotlighted the best–performing hospitals in the U.S. based on a balanced scorecard of publicly available clinical, operational, and patient satisfaction metrics and data from 2013 to 2017 for most metrics,” the release explains. The study has been conducted annually since 1993, the release notes. More information on this study and other 100 Top Hospitals research is available at https://www.ibm.com/watson-health/services/100-top.